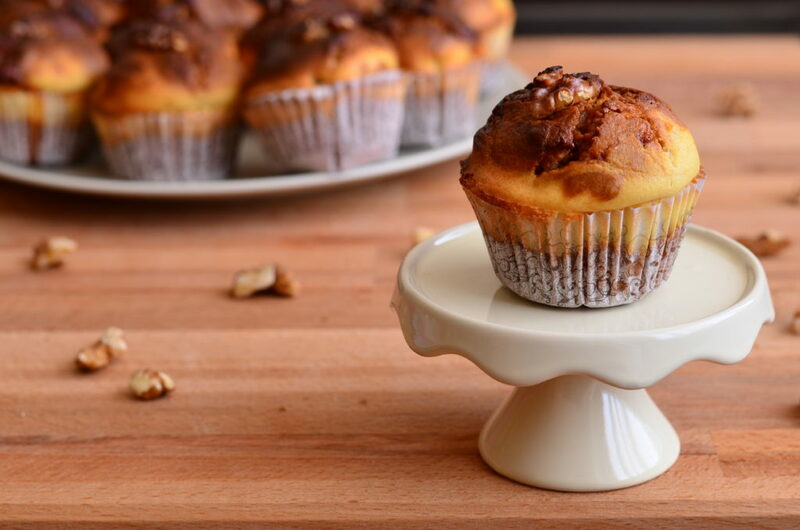 I am proud to present you these fluffy and soft Dulce de Leche Muffins with a Cheesecake Twist. The base is a dulce de leche mix with walnuts which is slightly swirled with a cheesecake mix made of ricotta and cream cheese. 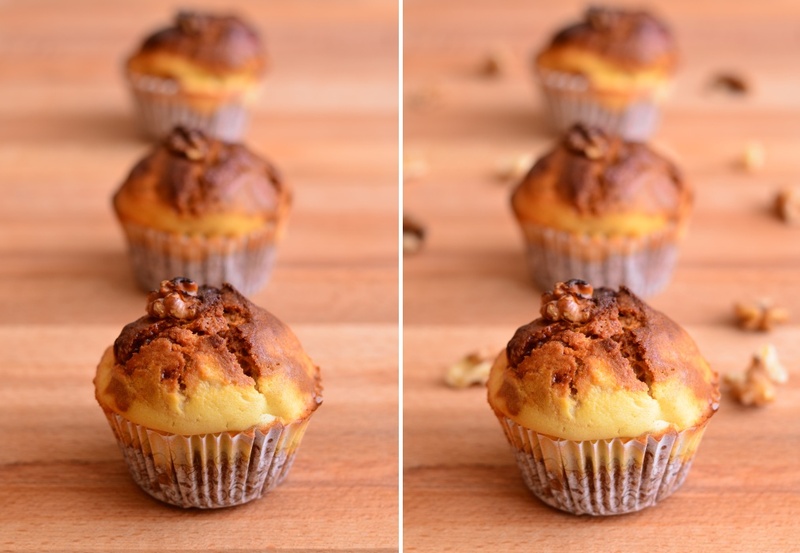 In the middle of each muffin, there is a nut of dulce de leche which can escape while baking and create a nice caramel stain on the top. What I like about winter time is that there is no fruit from the garden, so you can finally make some good stuff with chocolate or dulce de leche, or similar stuff you name it… For those of you who are not familiar with dulce de leche, it is a caramelized condensed milk originally from South America, also known as “confiture de lait” in France. 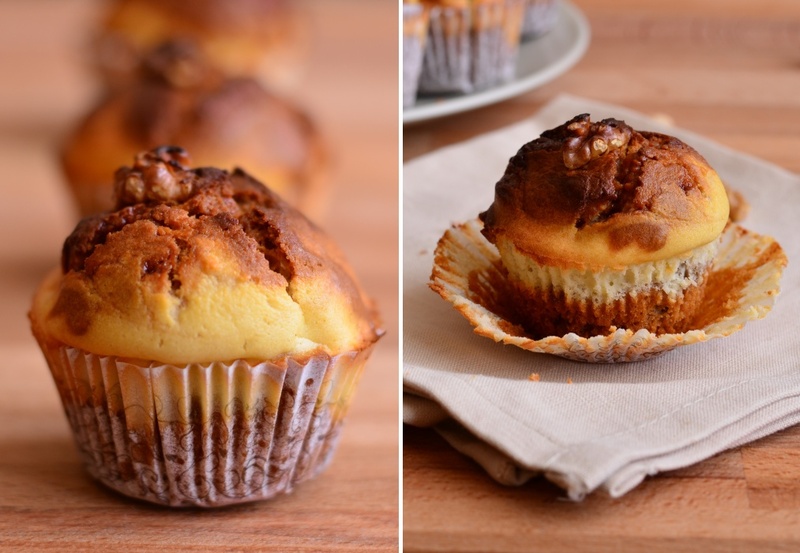 I usually use it to make yummy Alfajores cookies with it, but sometimes is good to change a bit, as it is the case of these Dulce de Leche Muffins. 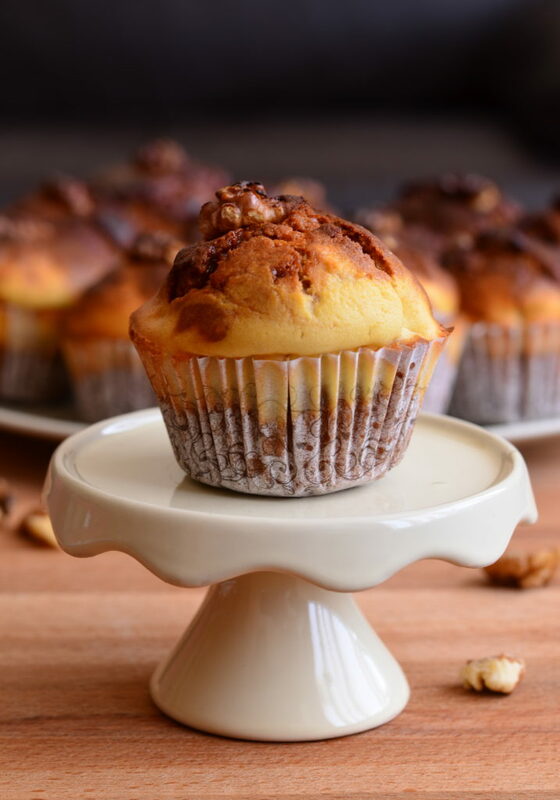 Fluffy and soft Dulce de Leche Muffins are made of 3 layers: dulce de leche muffin base with walnuts, cheesecake mix, and dulce de leche filling. Prepare the muffin base: Sift together the flour with baking powder and baking soda. In a large bowl, mix together the cane sugar with the eggs, milk, melted and cooled butter, dulce de leche/caramelized condensed milk and vanilla essence. Add the flour sifted with baking powder and baking soda and walnuts. Prepare the cheesecake mix: In a large bowl, mix the ricotta with cream cheese, whipping cream, sugar, egg, vanilla essence and flour. Mix all well until there are no lumps. Put two tablespoons of the muffin base in each, then a teaspoon of dulce de leche/caramelized condensed milk, and cover with a full tablespoon of the cheesecake mix. Do a decent swirl of these 3 layers using a toothpick and sprinkle with chopped walnuts. 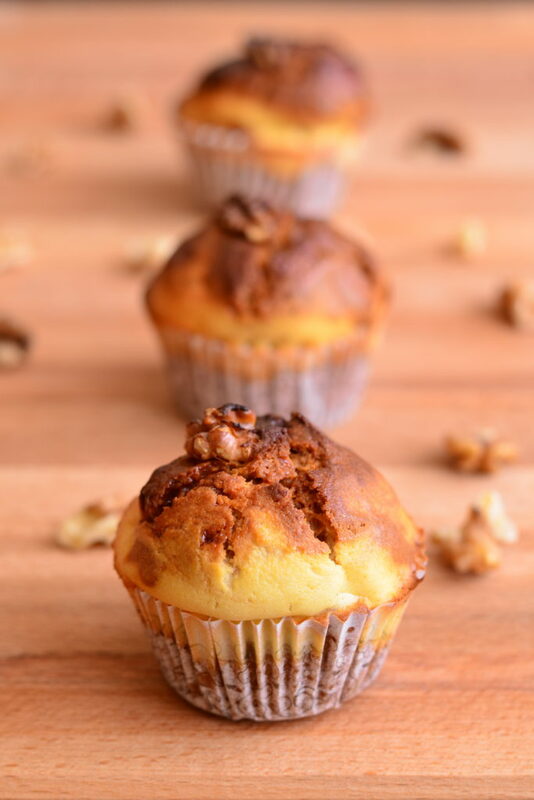 Place the muffins into the preheated oven and bake for 30-35 minutes. Comme ils ont l’air délicieux ! !